, created by Chapman film professor Jeff Swimmer, which will be screened four times in Chapman’s Memorial Hall during the open house event. Huell Howser. Courtesy of the Huell Howser Archives, Chapman University. Personal appearances by some of the favorite people showcased on Huell’s shows. Food vendors featured on memorable episodes of the shows. 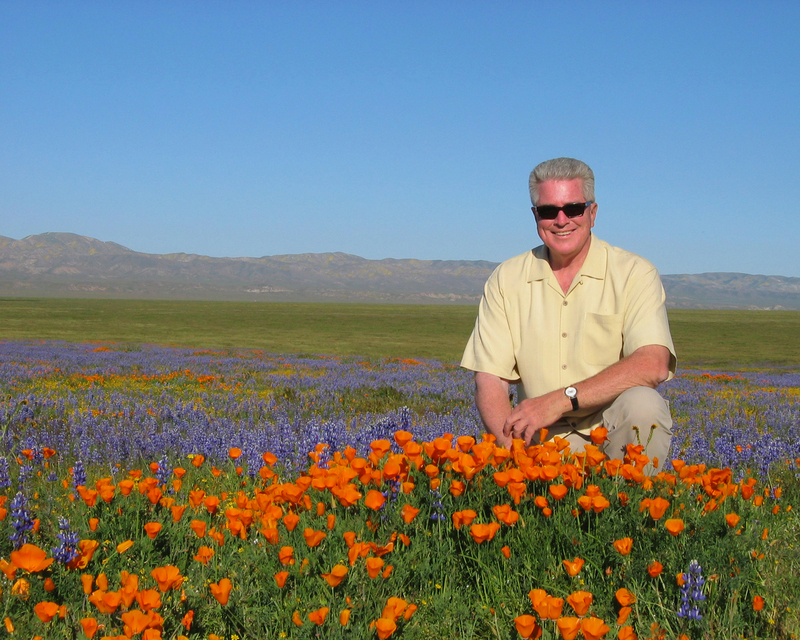 The release of the Auto Club’s new “California’s Gold Guide Map” – a wonderful new map of the Golden State that marks the locations where many favorite episodes of Huell’s shows, including the Auto Club-sponsored Road Trip, were filmed. The Auto Club will be on site to hand out free maps while supplies last. Free tours of the exhibit, which features a replica of Huell’s office, a quote wall, career artifacts, pieces from his eclectic personal art collection, and fan gifts from his travels throughout California. , where the public can view all of these episodes for free. Howser also endowed the California’s Gold Scholarship at Chapman, a project that was “near and dear to his heart,” said President Doti. “He wanted to create a legacy that will make an impact on the lives of students far into the future.” The scholarship is presented to selected undergraduates who display a positive outlook and who are actively pursuing ways to improve society. Howser also donated two houses to Chapman. One of the two residences, in Twentynine Palms, is currently on the market, in accordance with Howser’s wishes, and the funds from its sale will support the California’s Gold Scholarship and the Huell Howser Archives. The other home, known as the “Volcano House,” an iconic Midcentury Modern domed structure atop an ancient volcano in the Mojave Desert, is being used by the university as a base for study trips, filmmaking, writers’ retreats and more. magazine. He even thought the Auto Club itself was an interesting story, and he produced two shows that were based on its history – one when the Auto Club turned 100 years old in 2000, and another when the magazine achieved its centennial in 2009. When Huell attended Auto Club travel shows, there was always a long line of people waiting to meet him, and he didn’t leave until everyone had received an autograph and had had the chance to meet with him. The Automobile Club of Southern California, the largest member of the AAA federation of motor clubs, has been serving Southern California since 1900. Today, the Auto Club’s members benefit from its legendary roadside assistance, insurance products and services, travel agency, financial products, automotive pricing and buying programs, automotive testing and analysis, trip planning services and highway and transportation safety programs. The Auto Club of Southern California Insurance Group has been ranked “Highest in Customer Satisfaction with the Auto Insurance Claims Experience” in the J.D. Power 2013 U.S. Auto Claims Satisfaction StudySM. Information about these products and services is available on the Auto Club’s Web site at www.AAA.com.